I hope that Q1 has been good to you and your family. My Q1 2015 Real Estate update is in progress so I will send that out shortly so stay tuned. In three sentences I would say that we are in the most aggressive Seller’s market I have seen in my 12 year career. If you are a Seller I would sell now while things are going well, as a Buyer let’s make sure we sit down and strategize how to win in this market. Investors there are still a few locations that may get good rent, but overall flipping is a risky bet as there maybe a slowdown around the corner. I never imagined that interest rates would be at another low. 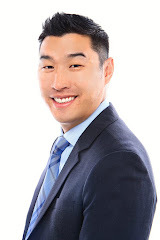 I am refinancing again, let me know if I should connect you with my loan agent to look at your loans. I wish you the best for the rest of the year. Thank you for all of your trust as of this month this will be my 12th year in the business and none of this would have been possible without your support and referrals!